Vladka Kazda had no idea what she was in for when she volunteered to tackle customer retention at online marketplace, Carsales. The former chief customer officer spent 15 years with the Carsales business, holding various brand, marketing and customer-focused roles. From 2015, her emphasis was emphasis became customer retention across its 6 million members. “I’d been focused on acquisition, brand development and mostly around the one-to-many and having success. 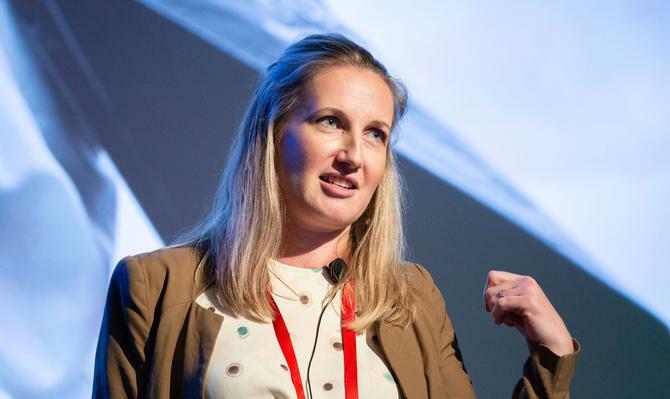 But with Carsales reaching a point of maturity as a business from a brand and marketshare perspective, with 4 million accounts, it needed to better engage,” she told attendees at the recent ADMA Data Day. During last week’s ADMA Data Day, Kazda shared her personal journey as she strived to personalise member experiences, what she did to own it as a program of work, and valuable lessons along the way. It was work she readily admits took her through “the seven stages of grief”. But along the way, she expanded from digital marketer to professed “data geek”, swapped from CMO to chief customer officer, and orchestrated a customer data and automation program that now enables Carsales to personalise member engagement in a way that demonstrate value and revenue gain. Having crafted a number of customer use cases, and boasting of an email team and budget, Kazda threw investment into an email marketing automation platform. “Fast forward a couple of months, and you can imagine my shock – I’ll call it the first stage of grief – when I learnt I’d spent all this money on a Rolls Royce I couldn’t get out the driveway because our data is in 20 different source systems. There was no unified view of our customer,” she said. This ‘accidental discovery’ was initially an expensive mistake, Kazda said. “It was however, the catalyst for change over the next 13 months, which I decided I wanted to drive,” she said, noting she was pregnant at the time too. Having detailed the opportunity cost and risk associated with not creating a single view, she got executive buy in to address customer data. Having then realised the real action was happening in the development and data teams, Kazda decided to leave the marketing function and join the development and data teams in the newly created role of chief customer officer. “I pulled myself out of marketing entirely, sat in the development team, which is the membership tribe… that was the single best thing I did to get started,” she said. The next step to tackling the hot mess was defining what being a Carsales customer actually meant. No one knew what a member was, Kazda said. “The data was dirty and we had 20 years of data in multiple systems. Preferences and permissions were all over the place being managed by different BDMS, there was no ability to discount, and the pipeline to getting the data - which is the most important thing to understand and communicate to your stakeholders – how it starts in a system and makes its ways to being usable in a platform, needed to be documented,” she said. Discovery stage became about establishing definitions for a ‘member’, aligning expectations, forming a ‘customer single point of truth team’, documenting the technology stack and flow, and creating a cross-functional development team. “What I learnt at this stage was where you sit does make a difference – you do need to get to know these guys and immerse yourself. You have to be more in the detail, empathy goes a long way and whiteboards save the day – it’s the way you articulate things,” Kazda said. Importantly, stakeholders came on that journey, she added. Because what became apparent to Kazda was that it’d be some time before the team delivered true value to the business. “It became about managing expectations. It was finding those proof points,” she explained. “We had 30 ideas on a Kanban board, circled them, looked at what data we needed and what the dependencies were. And guess what: Backlog. So much was blocked by the data. Nine months later, Carsales had manual segmentation capability. “This was exciting as it was that first ability to actually have some unified view of customers, be able to find them in the universe we had, pull them out, put them into the email marketing platform and send them opportunities or campaigns,” Kazda said. Among early campaigns wins was a ‘safety recall’ campaign where Carsales reached out to members who owned a certain type of car. “Not only did we get huge engagement, we also did a good thing,” Kazda said. “The ‘instant offer’ piece, meanwhile, was a revenue driver – that was identifying people that had flagged they were looking to trade a car. If they hadn’t traded with us after a certain period of time, we contacted them and offered them our instant offer. That converted enormously. Throughout the process, Kazda focused on the stuff she could do, rather than worry about the things she couldn’t. “You have to get comfortable with being uncomfortable because it gets a lot worse,” she said. What helped was communicating incremental opportunities and consistent test and control. “We did a lot of controlled testing to prove this is what a segment is, then talked to a portion of that segment so we could prove uptake of offering,” Kazda said. Having established the need and proven value, Kazda worked to deliver the automation piece. She described this stage as one step forward, two steps back. A particular pain point was getting the data from source systems, which proved arduous. A year later, Carsales boasted of automation capability. “We set up all journeys and programs, had the data injected in ‘c-spot’, which is what we called it, cleansed the data and it was fit for purpose. “We developed a platform for on-boarding… ESP issues were resolved, modular templates were created and likewise we had some personalised campaigns live,” Kazda said. ‘Buyer summary’ was the first piece of automated work and allowed Carsales to identify and place members in pockets based on transactions they were doing, such as saving car information or submitting an inquiry. “We pulled inventory they looked at, suggested new inventory and helped drive people down the funnel as well as recap on their buying behaviour. We saw huge open rates and incremental increases in leads,” Kazda said. Another communication was ‘new model releases’. This saw customers in a particular model of car sent trigger-based communications when the latest model of that vehicle is released, comparing the two makes and models. ‘Upgrades’ also sees personalised communications across six different pricing platforms. “All of this was exciting because for once we weren’t a cost centre, we were a revenue generator. It was a really exciting place to be as a marketer,” Kazda said. Read more Is Amazon Advertising a threat, or a boon? Getting to this point has meant finding out the right data to build value. While its 6 million customers leave a rich data footprint during the average two-month buying and selling cycle, the reality was Carsales needs to be able to communicate in the 3-7 years they’re not looking as well. To bolster value, Carsales struck a partnership with Viva Energy Shell in February to give Carsales members a $0.01 per litre petrol discount, redeemable via mobile at the point of sale. That’s offered in exchange for knowing what car a member has, thereby rounding out the trifecta. Throughout the journey, Kazda’s overarching piece of advice is to identify the value and importantly, “persevere”. “And connect with others on the journey – you’re not alone,” she concluded.